Haruki Murakami’s new book, a global event in itself, passionately defends the power of the novel. 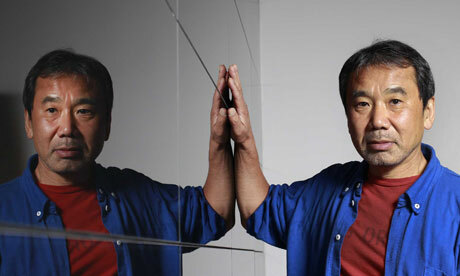 Over the past week 1Q84 – Haruki Murakami’s whale of a novel – was released across the Anglosphere. With midnight openings, queues round the block, magazine covers and unprecedented pre-orders, it received a level of attention typically reserved for established cross-platform franchises. If you happen to be party to this cult, you might start feeling the creeping sensation that Murakami has, much like he did 25 years ago in Japan, left the literary establishment in the proverbial dust. To quote the oft-quoted Marshall McLuhan, one of the countless writers who makes an appearance in the book, the medium is the message. In the case of 1Q84, the medium is the “global event novel”, a rare form of literary commodity that allows us to derive as much meaning from its fallout as we do from the ink on the page. It’s a book whose jacket design, for better or worse, received more press than most books get during their entire print run. Its references to the Czech composer Leoš Janáček and Russian novelist Aleksandr Isayevich Solzhenitsyn led to a spike in sales of books and records the market turned its back on long ago. Read by schoolgirls and scholars, Murakami is the only living writer who can sell a million copies in a month and still be in the running for the Nobel prize. His unique ability to transcend high and low, east and west is a byproduct of a peculiar career trajectory. When setting out to write his debut novel in the late 1970s, he initially wrote the opening in English, then translated it back into Japanese, an experiment that led to the discovery of his voice. Public intellectuals have often been prominent in protest politics, and the Occupy movement has attracted plenty of thinkers. “Sartre: be brief, be clear”, was the disconcerting message Jean-Paul Sartre found on a lectern before he addressed angry French students in 1968. When Sartre had earlier interrupted work on his giant Flaubert biography to offer support to those occupying the Sorbonne, there were no such embarrassments. But Danny Cohn-Bendit, the uprising’s main spokesman, said he was neither inspiration nor mentor, and also dismissed as “a joke” claims that Herbert Marcuse, author of One-Dimensional Man, was their “intellectual leader” (“none of us had read him”). Revolts against fathers don’t need fathers. 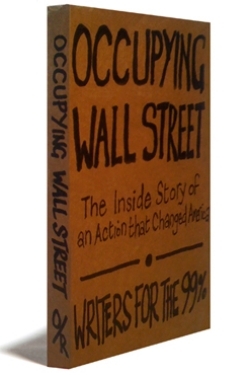 More than 40 years later, Occupy Wall Street and its spin-offs (including Occupy London) have been similarly backed and courted by intellectuals. Naomi Klein, Jeffrey Sachs, Cornel West and Slavoj Žižek are among those who have spoken to the New York or Boston protesters. Naomi Wolf was arrested while backing a related demo. Noam Chomsky delivered a public lecture in Boston. Writers, including Salman Rushdie and Margaret Atwood, have signed the Occupy Writers online petition. There’s the same sense as in 1968, though, that the protest is its own thing and gurus are nice accessories but not necessary; the witticism about Marcuse saying “they are my followers, so I must follow them” sometimes seems applicable. Nevertheless, some figures are credibly cited as influential, notably David Graeber, an American anthropology don at Goldsmiths in London, who helped organise what became the Wall Street occupation in its early weeks; his books include Direct Action: An Ethnography, Debt: The First Five Thousand Years and Fragments of an Anarchist Anthropology. And the initial spur for Occupy Wall Street came from Adbusters, an organisation that spoofs ads and runs anti-consumerist or anti-capitalist campaigns, and which does have a guru – looping back to May ’68, its tactics are modelled on Guy Debord’s Situationism. The Literature Prize is to be awarded in the spring of each year, with founder Andrew Kidd saying it will take place for the first time in 2012 if the necessary funding is secured by the end of this year. Kidd said the prize would be awarded “after the Costa, before the Orange, and some distance from the Booker”. Since the Costa is usually awarded in January, and the Orange in May, this means the prize may be awarded close to London Book Fair, which takes place next year on 16th to 18th April. Books eligible for the prize must have been published in the UK in the 12 months of the calendar year prior to the spring ceremony, and must have been written initially in English. Therefore, if the prize were to take place in 2012, all six of this year’s Man Booker-shortlisted titles would be eligible. Kidd, an agent at Aitken Alexander, said it would be “absolutely fine” if the prize ever shared a winner with the Booker, saying it “inevitably might happen”. Prize money is still to be confirmed, but Kidd said it would be in the same league as other major literary prizes. The Booker Prize awards £50,000 to its winner, the Orange Prize awards £30,000 and the Costa Prize gives £35,000. Pauline Kael and the primacy of pleasure. Pauline Kael stood only 4 feet 9 inches tall, but a decade after her death (and two decades after she published her last New Yorker review), her shadow still towers over the landscape of film criticism. Like it or lump it, if you write about movies in America today (and in the age of the Internet, who doesn’t? ), you define yourself at least in part in relation to Kael. In fact, you probably channel her from time to time without realizing it. Even the second-person “you” in those sentences echoes Kael’s chummy yet bullying voice: To read her is to be grabbed by the lapels and yanked down into the theater seat next to her. “She’d have liked you,” a colleague said to me, shortly after Kael’s death and my start as a critic. It was a curiously heady, almost hubristic thought to entertain. For the nearly quarter of a century that she reigned as the New Yorker’s doyenne of film criticism and one of the country’s most visible public intellectuals, there were few cultural dispensations that conferred as much power as being liked by Pauline Kael. Her approbation could make a director’s or writer’s career, and her antipathy could sink it. 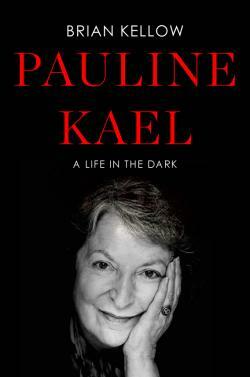 Only now, after reading Pauline Kael: A Life in the Dark, Brian Kellow’s new biography of this movie-mad daughter of an immigrant Jewish chicken farmer from Petaluma, Calif., do I realize what a double-edged sword it would have been to be liked by Pauline Kael. Maybe it’s just as well we never met, though she does sound like wonderfully lively company. The woman whose 82-year-long life Kellow chronicles in this meticulously researched, sympathetic book was a real piece of work: self-assured to the point of arrogance, boundlessly energetic and brashly combative, capable of generously nurturing talent in the filmmakers and journalists she admired and then, just as brusquely, abandoning or betraying them. 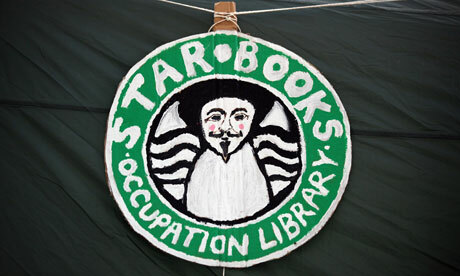 Occupy the Book: Is It Author Spring? After five years, I left the magazine to publish my first novel, River of Light with Knopf. To support my writing, I took a lowly job as a typesetter, so I could complete my working knowledge of books — from creation to production. My second novel, Becoming the Enemy, was even set at a fictional publishing house. I worked for decades as an editor and taught writing. After publishing 16 books with traditional houses — from Norton to HarperCollins to Penguin — I believed I was finally ready to become my own publisher. But there was still a stigma against the “vanity press” of self-publishing, no distribution, and little consumer demand. I would have to wait until the 21st century when digital technology, direct distribution channels like Amazon, iBooks, and Nook, plus the popularity of inexpensive e-readers have finally made it possible for authors to become publishers. My first task was to bring my backlist into print as e-books. The journey into self-publishing is like discovering a new territory with evolving rules and a swiftly tilting culture. This is one of the most exciting and innovative times to be an author. Everything is in flux. With the proliferation of e-books and self-publishing will the book business become more sustainable and egalitarian? Will we finally see an end to the bloated advances for celebrity memoirs — those non-books for non-readers written by non-writers? Will we see the re-education of the bottom-liners who turned this once genteel profession of publishing into corporate Raiders of the Lost Authors? From JM Coetzee to Nelson Mandela, the author chooses her favourite ‘performances of courage and honesty’ that have come out of the continent. “The memoirs that have come out of Africa are sometimes startlingly beautiful, often urgent, and essentially life-affirming, but they are all performances of courage and honesty. Far from the tell-all confessionals more usual in western memoirs, the African memoir lays bare the bones of what it is to be a child, survivor, or perpetrator of oppression and conflict. On the face of it, it seems an outrage: JM Coetzee, South Africa’s most prominent author of the past few decades, selling out to an American institution, which will henceforth be the repository of some of the most avidly discussed and researched ­literary works in recent South ­African history. Where were our local institutions? Why could Coetzee’s papers not have found a home where they belong — in the matrix that gave them birth? And where people can pronounce his name? Will local scholars now be placed at a severe disadvantage in not having ready access to this trove? Is this another form of exploitation of the developing world by the rich West? There are no clear answers to these questions. The first thing to say, perhaps, is that Coetzee is by no means the first South African writer to lodge his papers with the Harry Ransom Humanities Research Centre at the University of Texas in Austin. The following writers all have significant holdings at the research centre: HC Bosman, Roy Campbell, Jack Cope, Stephen Gray, Uys Krige, ­William Plomer and Olive Schreiner. But is this not precisely the point — that some of our most prominent writers have been bought off by the wealthy Americans? There are arguments for and against. First, perhaps the best thing about this is that some of South Africa’s finest literary talent gets to rub shoulders with the likes of Byron, the Brownings, Joyce, Lawrence, Graham Greene, Anthony Burgess, Doris Lessing, another writer with Southern African connections, and John Fowles — among many, many others. In other words, instead of keeping it local and parochial ­­– each writer to his or her own region — “our” writers are placed in a much larger cultural context, in which comparative studies and greater exposure in general can occur. What happens when more writers have the option of a one-stop shop: agent, publisher and bookseller. Are publishers still needed? Or, as Amazon’s self-published authors would put it, are legacy publishers still needed? Well, they must be, or why would Amazon go to such lengths to build a publishing program — down to the detail of buying expensive retirees who used to run big houses to lend it an air of legitimacy. But that means writers and readers are dealing with a company that’s imitating the thing it says they don’t need anymore. A thing that it actively denigrates, like calling publishers legacy or traditional publishers — i.e., casting everything as old versus new, and, of course, old is bad. But it’s not about old versus new, or for that matter, print versus digital. It’s man versus machine, and diversity versus monopoly. Can Amazon sell a lot of books? You bet. They really do know how to develop algorithms that can move just about anything. Good books, bad books. Beautifully edited, completely unedited, edited by chimpanzees – it doesn’t matter. The numbers, they brag, speak for themselves.